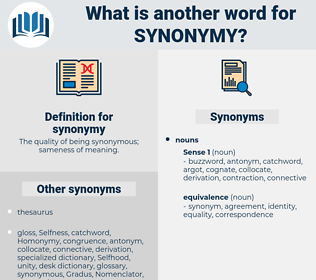 What is another word for synonymy? 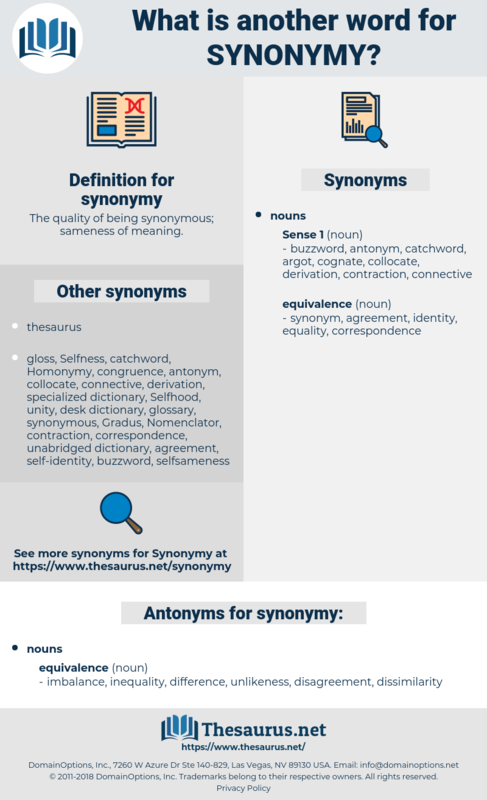 The quality of being synonymous; sameness of meaning. imbalance, inequality, difference, unlikeness, disagreement, dissimilarity.